Do you know where the most powerful, life-changing words were spoken? Do you know who spoke those words? The most powerful words are from the last dying words from a person. They are remembered because they will never speak those words again. This Easter as we reflect what Jesus did for us, we can witness in Jesus’ suffering and death on the cross his prayers for us. His last words are so telling of his undying love for us. Here are the dying last words of Jesus. 1. “Father, forgive them, for they do not know what they are doing” (Luke 23:34). It amazes me even as Jesus was ridiculed, persecuted, beaten and crucified he still prayed for those who were killing him. He even forgave one of the men on the cross who was sentenced with him. Even in Jesus death he prayed for us and still had the power to make people right with God and cared about their salvation. 2. “Truly I tell you, today you will be with me in paradise” (Luke 23:43 NIV). 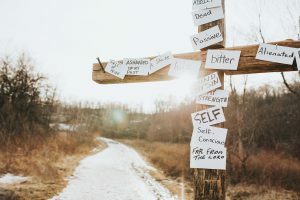 These are the words Jesus said to one of the criminals sentenced with him after the criminal said, “Jesus remember me when you come into your kingdom.” Can you even imagine hanging on the cross suffering and Jesus says these words to you, promising you will be in paradise today and you will be with Jesus? This signifies this paradise is something that only Jesus brings not the world. 3. “Dear Woman, here is your son” Then he said to the disciple, “Here is your mother” (John 19:26-27 NIV). Jesus was saying this to his mother Mary, even in Jesus’ last hours of life he honored his mother by asking John, his disciple to take care of her. Jesus wanted to make sure his mother would be taken care of and entrusted his beloved disciple John to do this. 4. “Eloi, Eloi, lama sabachthani?” which means “My God, My God why have you forsaken Me?” (Matthew 27:46). This is the fourth saying Jesus says in both Aramaic and Hebrew, from the cross. Prior to this, Jesus had fallen silent for 3 hours after the darkness came. This is the first thing he said after the darkness left. In the 3 hours of darkness is where Jesus felt the wrath and separation from God for the first time. This statement shows his vulnerability as a human and reveals his feeling of abandonment from God. I think this saying shows how heavy bearing the sins of all of mankind was and therefore cries out to God for help. This shows us we should cry out to God also when we too bear much suffering. 5. “I am thirsty” (John 19:28 NIV). This is so interesting how Jesus asks for water considering he taught his disciples and followers many times that he was the living water, that whoever drinks of the water will never thirst again and have eternal life (John 4:14). It is striking how the one who is the water of life is dying in thirst. I think this shows Jesus craving for his physical comfort to be refreshed with a drink of water. Jesus not only desired for his physical thirst to be satisfied but his spiritual thirst as well. In scorn, the soldiers dipped a sponge filled with vinegar on the end of a hyssop plant to give Jesus a bitter taste in his mouth. You and I today can ‘give Jesus a drink’ by sharing what we have with those in need by feeding the hungry and giving water to the thirsty (Matthew 25:34-40). Wiersbe, W. W. (1996). The Bible exposition commentary (Vol. 1, p. 383). Wheaton, IL: Victor Books. 6. “It is finished” (John 19:30 NIV). This statement marks one of the last things Jesus says before he dies. It signifies he completed what he came to this earth to do, to die for our sins. He says the Greek word ‘tetelestai’ which means ‘paid in full.’ Jesus didn’t say ‘I am finished,’ he said ‘It is finished,’ meaning his redemptive work was complete. “It is finished,” is a declaration of Victory! Jesus became sin for us (2 Corinthians 5:21). He suffered the penalty we deserved. Even up to the moment of his death, Jesus remained the one who gave his life for us (John 10:11, 14,17-18). Blum, E. A. (1985). John. In J. F. Walvoord & R. B. Zuck (Eds. ), The Bible Knowledge Commentary: An Exposition of the Scriptures (Vol. 2, p. 340). Wheaton, IL: Victor Books. 7. “Father, into your hands I commit my spirit” (Luke 23:46 NIV). This is the seventh and last statement Jesus says before he bowed his head and took his last breath. Jesus died for us. He offered his body and soul, not for himself, but for us. Jesus did not die as a martyr, but as a Victor, because he completed what he came to do. All of the suffering Jesus went through, his death was not for nothing. “Father, into your hands I commit my spirit,” is actually a bedtime prayer used by Jewish children. It tells us how our Lord died: confidently, willingly and victoriously (John 10:17-18). It is a prayer of commitment to God before taking his last breath. Those who know Jesus as their Saviour may also die with the same confidence and assurance, that Jesus did (2 Cor. 5:1–8; Phil. 1:20–23). Wiersbe, W. W. (1996). The Bible exposition commentary (Vol. 1, p. 276). Wheaton, IL: Victor Books. Wow! I can’t even believe all that Jesus was teaching us even in his suffering on the cross and very last hours of his life. It shows me how important prayer is in our lives. Praying is what Jesus was doing up until the last breath he took. He not only was showing us his love by enduring suffering and death in which we deserved, but praying on our behalf asking for our forgiveness. He comforted the criminal who was suffering telling him about God’s promise of paradise. He honored his mother. He cried out to God for help. He showed his desire to have his thirst quenched both physically and spiritually. Jesus remained faithful even in his suffering. He showed us that God is always with us, he never leaves or forsakes us. This Easter, we can partake and participate in the victory of Jesus as his gift to us. What do Jesus’ last words mean to you? What are the most powerful words you ever heard spoken? We don’t have to be perfect to accept this gift, have it all together or be someone great. God’s gift of eternal life he offers to everyone, no matter who we are, who we were or who we will be. Opening and receiving God’s gift of eternal life, is the best gift anyone could ever receive this Easter. I would love to hear from you! Leave your comments below. Have a blessed and Happy Easter! 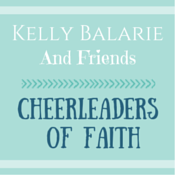 Did you find this post to be encouraging and helpful? Please share with others who are in need of prayer. 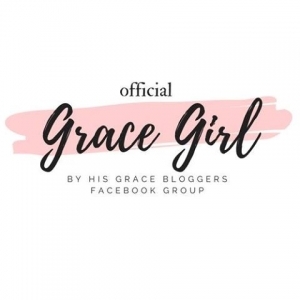 For more encouraging messages, Subscribe to my blog to receive a weekly message of hope right to your inbox or like my Author Facebook Page. to keep updated on posts. I pray the God of hope will fill you with Peace as you Trust in Him! Have a Blessed week! I would love to hear from you! Leave Comments Below. Happy Easter! http://www.heathergillis.com/wp-content/uploads/2018/03/lightstock_333708_small_heather.jpg 800 1200 Heather Gillis http://www.heathergillis.com/wp-content/uploads/2018/11/heather-gillis-logo.png Heather Gillis2019-04-05 02:00:502019-03-30 20:58:48What Were The Most Powerful Words Ever Spoken? Have you ever wondered what makes a word come into existence? The first American dictionary published by Noah Webster wasn’t published until 1828 and contained around 70,000 definitions of words. It makes me wonder how the validity of definitions survived all that time. This makes me wonder if new words can emerge and come into existence, then where do their definitions originate? Are these definitions of words something we make and come up with? As new definitions emerge and change as each era progresses, The Bible is one book that never changes its definitions. Of course, we need to add definitions for when new technology emerges. However, we can always count on the Bible because its origin of truth stays the same and never changes. Why can we depend and trust that the Bible is a dependable source of truth? Even though the Bible was written by the pen of imperfect men, these words were not from them but from God. There is much dispute in whether the meaning of the messages in the Bible has been lost or changed with each new translation that emerges. However, each chapter of the Bible has been authenticated by author, place, and events that occurred with writings of historians that existed at that time. The Bible has been around since the time of Moses delivering the 10 commandments (1,400 BC), to the completion of the Hebrew manuscripts which include the 39 books of the Old Testament (500 AD), to the completion of the Greek manuscripts including the 27 books of the New Testament (1st Century AD) to present day. God’s truth can be trusted because……. God’s truth has existed from the beginning of creation. God spoke life into existence. God’s Words breathe life into our lives. Words make up who we are and say a lot about our identity and world. If you were to look up the topmost trending words on the Merriam-Webster dictionary website people have looked up in the past week, you would be astonished. It says a lot of what is going on in our world. The topmost searched word right now is fascism. Other words include white supremacist, bigot, bigotry, Neo-Nazi, terrorism, and communism. These words have to be among the most hateful and evil words that exist and yet are at the forefront of our world. We may have our differences and not always agree with each other, but can choose what we use our words for. We were never meant to live in a world full of hate and evil–but in a world full of God’s love. In a world of hate and chaos, God’s truth will always bring us freedom. Our words have the ability to speak life and truth into the lives of others (Prov. 18:21). Our words can make a difference in someone’s day by being kind and loving (Eph. 4:32). Our words can build another’s confidence by encouraging and building them up (1Thes. 5:11). Our words can change the lives of those who persecute us by praying for them (Matt. 5:44). Our world will always be filled with evil when we use our words to destroy, slander, gossip or hate. There is freedom when our words are used to encourage, love, build and pray. We can’t change the definition to words to fit into the box that we desire them to. Trusting in emerging definitions can be dangerous over time. Changing the truth to our own desires is a slippery, dangerous slope to walk. When we trust in God’s truth and love we will find eternal protection and wholehearted healing. God’s truth will always keep us straight on our paths. If you ever have doubts about God’s truth, test it. Our words can be destroyed in an instant. God’s words can never be destroyed and will always last till the end of time. Have you ever questioned where your source of truth originated and whether you can trust it? 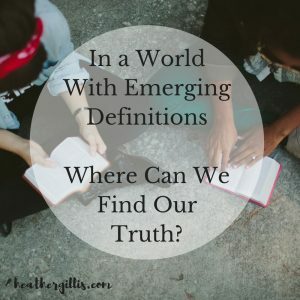 Have you ever been caught on the slippery slope of finding your truth in emerging definitions? 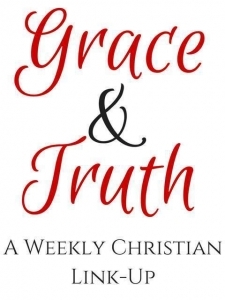 God’s love and grace are transformational. 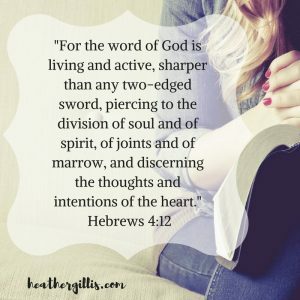 We become victorious when God’s Word is alive and active in our lives! Facebook has changed its parameters of what posts pop-up in your feed. If you would like to continue to see blog posts in your Facebook feed then follow these simple easy instructions. Hover over the ‘Following’ button it will reveal a drop-down menu. Info was obtained from Wikipedia. Bible history info was gathered from this site. For a more detailed instruction of a historical timeline of how the Bible evolved over time visit http://www.greatsite.com/timeline-english-bible-history/.